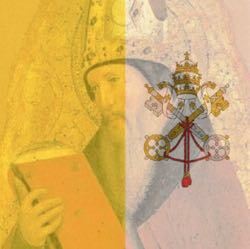 One common gripe against the Pope and against Church documents is that they are not as clear as they should be. They use language which can have more than one interpretation. Some Catholics are worried over the people who will choose (deliberately or not) the wrong interpretation. Others outright accuse the Pope of holding the negative interpretation. That’s a silly example of course (and humor works because the meaning can be hidden by wordplay), but real examples happen all the time. Just think of the Biblical Literalism which comes from the fundamentalist groups. We’ve seen some pretty ludicrous ideas that comes from interpreting the Bible according to a meaning the reader gives to it as opposed to what the author of the book intended by it. We also see it with anti-Catholicism, where the critic interprets the teaching of the Church according to what he or she thinks the Church document is saying as opposed to what the Church is saying actually saying. Those real life examples show that there can be a difference between what the speaker intends and what the listener thinks is meant. I find it ironic that there are some Catholics who would automatically reject these misinterpretations from fundamentalists or anti-Catholics who make the same error when it comes to their own interpretation of the Pope or Church documents. Whether by accident or by choice, they assume they have interpreted correctly and thus feel justified in rejecting the Pope’s words or the Church documents because they assume they cannot have chosen the right interpretation. Currently, we see this happening with Pope Francis, and the assumption is that either he speaks unclearly or else is teaching error. But, what is forgotten is the fact that these same accusers made the same accessions about St. John Paul II and Benedict XVI. Yes, that’s right. Both of Pope Francis’ predecessors were accused of promoting error on issues like social justice. People were scandalized by the “Marxist” ideas in Caritas in Veritate just as much as they were scandalized by the “Marxist” ideas in Evangelii Gaudium. But those who were scandalized assumed a meaning in these works which were never intended. Give a favorable interpretation to his words. If the person can’t, seek out how the Pope intends it (in other words, do the research). Only then does correction come into play. Unfortunately, most people tend to start with #3, assuming the Pope is wrong and needs to be opposed. But every time I’ve looked in on an alleged scandal, the trail never went further than #2, because either there was a favorable interpretation to be given or else new data came forward which changed the perspective. I find that most misinterpretations come about because of what words mean to the listener, not to the speaker. For example, some traditionalists were outraged with St. John Paul II spoke about women and “feminism.” The problem was, they interpreted it as the Western radical feminism and assumed he was speaking in favor of some pretty reprehensible ideas. Also, many people interpret Pope Francis’ ideas about the problems with capitalism as if it were a condemnation of capitalism as an intrinsic evil. This was an assumption that ignored the fact that he was speaking of specific evils that every nation must work to either reform or prevent as the case might be. One common retort seems to be, “Well if he didn’t mean it that way, why didn’t he say it differently?” But that’s unjust. There are over a billion Catholics in the world, representing each nation and language, with communication levels from "word of mouth in the bush” to instantaneous internet. They have knowledge of the faith from “religiously illiterate” to highly educated. Now add in the non-Catholics with the same limitations. Is it reasonable to think a Pope can express himself in such a way that everybody, regardless of the limits of their nation, language, communications and knowledge about the faith an understand? That’s impossible. I might miss the nuances of language that someone more educated than I recognize, while I might recognize nuances that someone less educated than I might miss. So, obviously the only way to effectively communicate is to understand the meaning of the speaker, and not make an unrealistic demand that the speaker anticipate every possible meaning that a listener might draw from it. Remember, it might be a problem with the listener . . . so one always has to make an effort to learn what was meant before critiquing.